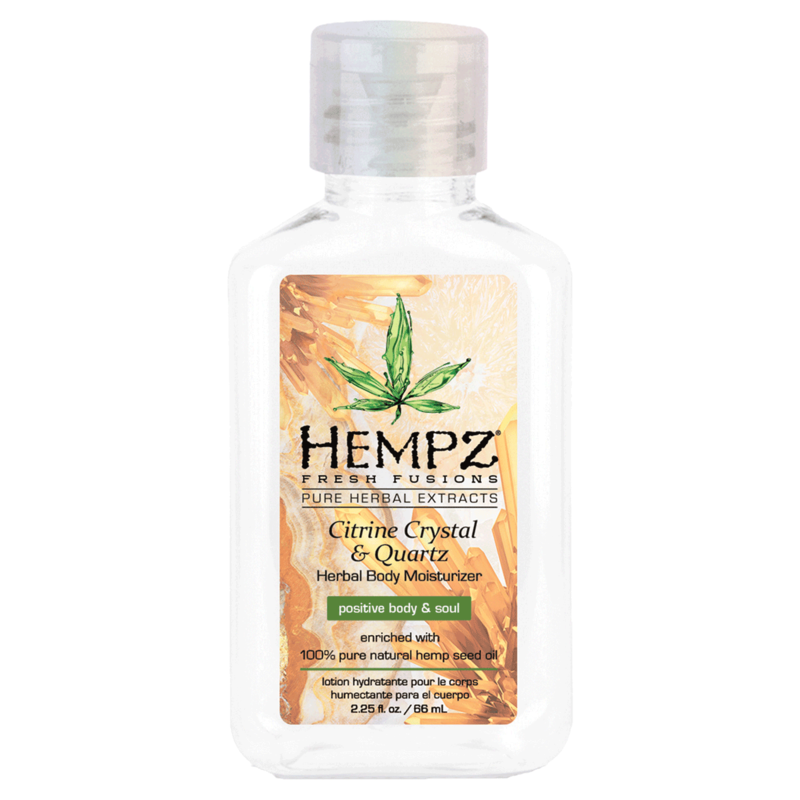 Uplift your skin, mood and ora with Hempz NEW! Citrine Crystal & Quartz Collection! Powerful fusions of essential moisturizers, conditioners and essential oils are energized with H20, Vitamins, nutrients, anti-oxidants and quartz for hydrated, illuminating, healthy looking skin. Our positive, proprietary blend of revitalizing orange, lemon, mandarin and grapefruit oils transform your skin leaving it in it’s most positive state of mind. Our formulas also provide three key daily benefits not only for your skin but your soul.